The joint-stock company BRISK was founded in 1992 by transformation of the state-owned enterprise Jiskra. In 1995 it became a company fully backed by Czech capital in the privatisation process. Its new management first emphasized support of research and development. It focused on proportionate development of individual production programmes, with emphasis on investments into progressive modernization. The company product portfolio might seem to be very varied at first sight but actually it has been determined by the company's historical development over the last 67 years of its existence. 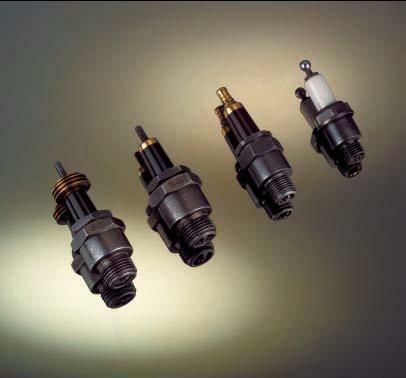 Spark-plugs and glow plugs for combustion engines constitute the dominant programme. This product, intended for the automobile industry, is very similar to the production of autodiagnostics and also sensors for the automobile industry. The long-term research in technical ceramics for spark-plug insulators made it possible to use this material for other specialized purposes and to establish a separate manufacturing field of Al2O3-based technical ceramics with an interesting range of products. Spark-plugs and glow plugs are the best-known group of our products; they are even supplied as replacements to basic industries to over 50 countries worldwide. Their range is continuously innovated and corresponds with current trends. Each driver can select spark-plugs and glow plugs from our series based on the required technical specifications. 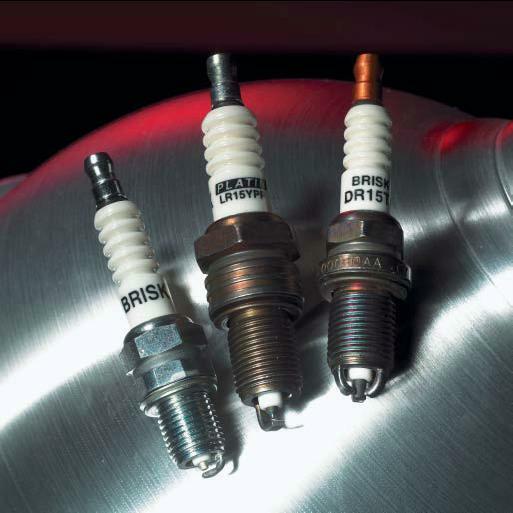 We also offer unique types of spark-plugs that cannot be obtained from any other producer. We also produce spark-plugs used primarily in combustion engines designed for various agricultural and forestry tools and machines. Our business and distribution network provides for supply of replacements to all basic industries. All customers are continuously guaranteed availability of goods. We are very happy that we can even supply our customers with and produce customized goods to suit their needs. The company has had quality system certificates DIN EN ISO 9001, VDA 6.1 and QS-9000 since 1996 and a certificate for the ecological standard CSN EN ISO 14 001 since 2000. In 1998, BRISK was evaluated as one of the best suppliers for the Volkswagen corporation and in 1999, 2000 and 2001 it was placed among top one hundred companies in the Czech Republic. Subsidiaries BRITA TRADE, s.r.o., Skl�rsk� �stav v Hradci Kr�lov� s.r.o. and OOO "BRISK" Ozersk in the Kaliningrad region, Russia, are parts of the company and contribute to its trading results. The company's strategy is long-term development, prosperity and stability of social benefits of its employees. We realize that our achievements are bound to the future. I am pleased that I have had the opportunity to introduce our company to you and I hope our products will satisfy your requirements.